This makes a small container of rub that you can save in an air tight container. 1 tablespoon ideal brown * (or real brown sugar) If you cannot find ideal brown you could add 1/4 tsp black strap molasses or a little s/f pancake syrup to the marinade but omit from the rub. Ideal is a mixture of xylitol and splenda. (I used 1 inch thick pork chops) Put about a tablespoon of the rub onto pork chops both sides. 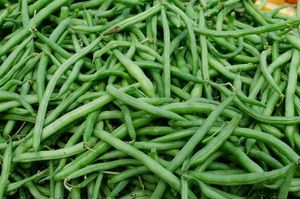 I rubbed them very good. Top each pork chop with bacon grease turning to coat, or olive oil. The bacon grease just really adds to the flavor. Pour balsamic vinegar over all and let marinate for 2 hours. Got my grill blazing hot and turned the burners down to low. Put the pork chops in and shut the lid for exactly 7 minutes, Turned them and cook another 7 minutes. Checked with my thermometer and they were exactly 145 degrees. Put them on a plate and tented them with foil for about 10 minutes. This makes the best turkey ever! Combine all ingredients and store in an air tight container. Makes enough rub for a 20 pound turkey. Stick of butter room temperature rubbed first then followed by this rub. Make sure you put this under the skin and all over the bird. I suggest using a cooking bag as it makes a moist turkey every time. 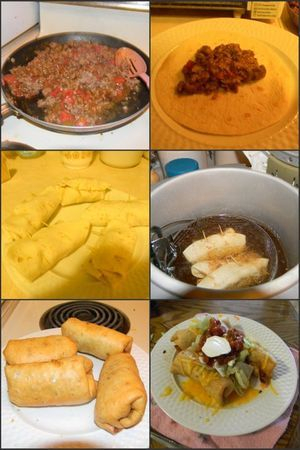 This is one of my favorite dishes. To make this break up a head of cauliflower putting it in a covered glass casserole dish with about a tablespoon of water. Put it in the microwave for about 7 minutes. Never boil cauliflower to make this dish. Cauliflower are like sponges and will soak up liquid and the end result will be too watery. Once finished pierce with a fork it should be fairly soft if not microwave a couple more minutes. 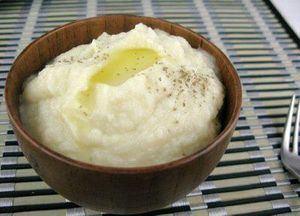 With a slotted spoon trying not to get much of the water in the bottom put the cooked cauliflower in a food processor. Add about 1/2 block of cream cheese salt and pepper to taste and whir till smooth. Went to my brother-in-law's cousins house for a New Year party. His cousin made the most amazing beef dish. It's so simple its crazy. He bought a large roast. In his slow cooker/crock pot he sliced an onion, he said because this roast was so big he sliced 2. He put the sliced onion in the bottom of the pot, put the roast in sprinkled Lawry's season salt (see note below) on top and pepper. No water or anything else. Put the lid on and let it cook till the meat was tender enough to shred with 2 forks. It has so much broth on its own. He said putting water in it dilutes the flavor. It is so amazing I had to share it with my friends. He had buns for those who do not do low carb but I just put it on a plate. He suggested I try some banana peppers on it and that was good too. 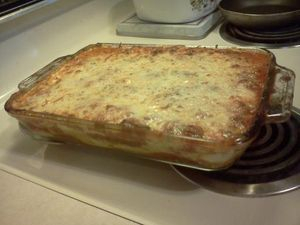 1 large zucchini sliced like lasagna noodles. 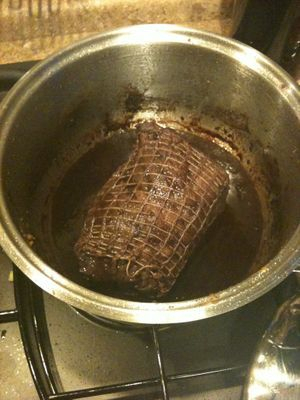 Salted and let sit for a couple of hours so that the water will leach out as this will help the dish not be so watery. Saute zucchini in olive oil just till they begin to look a bit translucent, drain well on paper towels patted dry. 1 1/2 jars classico brand spag sauce (1 isn't quite enough) I like Classico as there is no added sugar in this brand. Let stand 10 minutes before serving so layers do not slide apart. 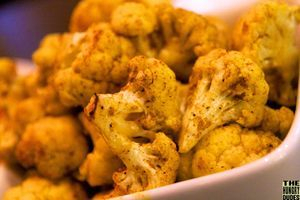 In a large mixing bowl combine cauliflower, olive oil and spices toss until ingredients are evenly distributed. Transfer cauliflower to greased baking pan (I cover it with non-stick aluminum foil) and bake for 25 minutes stirring each floret in the middle of baking. 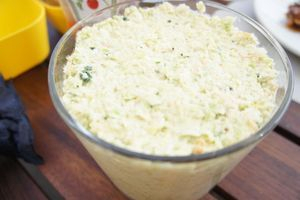 We love to top this with low carb ketchup like heinz low sugar 1 carb. Preheat the oven to 350° degrees. 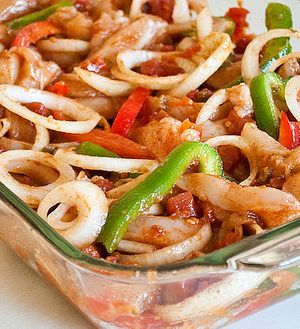 Place chicken strips, peppers and onions in a sprayed 8 X 2 baking dish. Sprinkle the spice mixture over the chicken and stir to coat. Next add the tomatoes, and chicken bullion cube and stir to combine. Just before serving squeeze some lime juice over the top. I covered a small pan for my toaster oven with non-stick foil and put a baggie on my hand and sprayed the baggie and was able to spread the batter to the edges evenly. 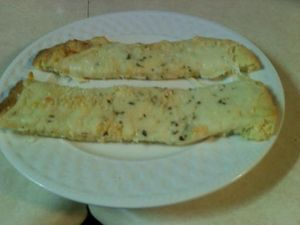 1 tablespoon melted butter brushed on top of crust, top with a mixture of cheeses, smoked provolone, mozzarella, and Parmesan cheese. Baked 15 more minutes but watch it that the cheese doesn't get to brown.